The cost of elderly care has been rising in recent years similar to other healthcare costs. With an aging population and very few young people to care for them, getting a reliable caregiver can become difficult and expensive. We offer a more cost effective solution. 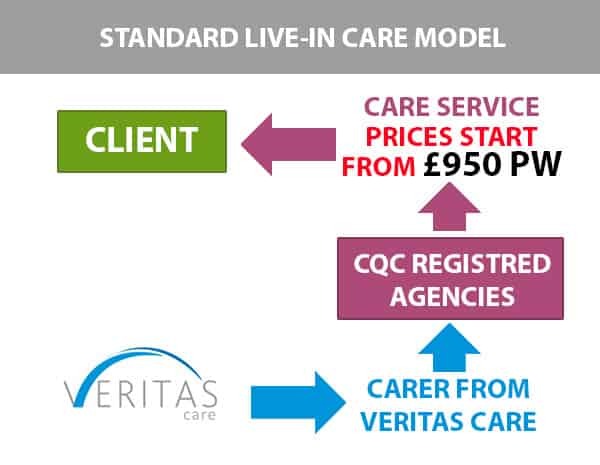 Our Live-In 24-hour model costs £623 – £777 per week for single-person care and £854 a week for couple care, depending on the patient’s condition and requirements for the care assistant. On a monthly basis, caring for two people through our service would cost around £3,500. You would be paying less than you should pay in other agencies for single person care. Our live-in care service is based on a German model, called the Self-Managed Model where self-employed caregivers work with clients to help save costs while improving the service quality. Our 24 hour homecare service costs 40% less than the standard, ‘agency managed model‘ that is more common in the United Kingdom. Live-in-care is more reliable than residential care. The caregiver provides 24 hour assistance and is always at hand to help the client. The care dependent person stays home, close to their family and loved ones. They get more recreational and social opportunities and don’t feel left alone and abandoned. Our prices start from £623 a week for clients that suffer minor medical disorders and services are mainly required for personal care, domestic duties, shopping, and medicine use. Patients suffering from more severe medical disorders are more dependent on the caregiver and can opt for a different program. Below you can see our pricing tab with more information. We handle all administration duties for you and your caregiver, so that you can relax and the caregiver can focus on the job. 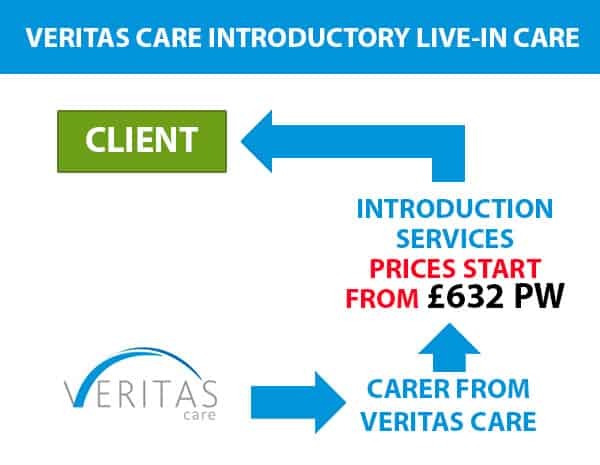 If you need affordable live-in care for a single person, the weekly price is £623 – 777. We make sure that that every caregiver we work with is carefully selected and has gone through enhanced screening process. All of our caregivers are certified, trained, and experienced. We encourage our clients to interview our recommended caregivers before hiring, so that you are completely satisfied. Our services were designed to cater to German quality requirements and you will not be disappointed with our work.